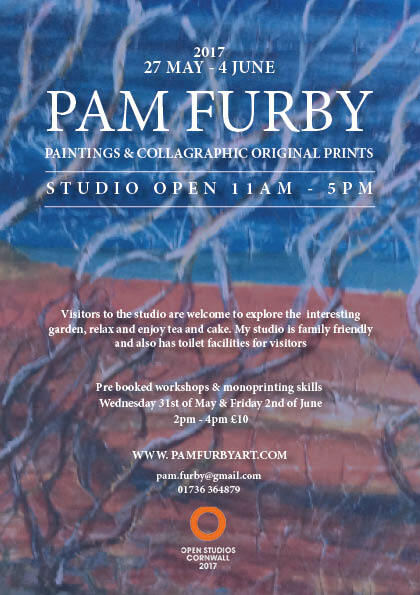 Visitors to the studio are welcome to explore the interesting garden, relax and enjoy tea and cake. My studio is family friendly and also has toilet facilities for visitors. My watercolours, acrylics, oils, mixed media and printmaking are inspired by colour and light. My work reflects time spent here in West Cornwall and Bryher, in the Highlands of Scotland, Sicily and the South of France. Print making involved a new technique. Images of The Highlands, Sicily and West Pen with are the result!